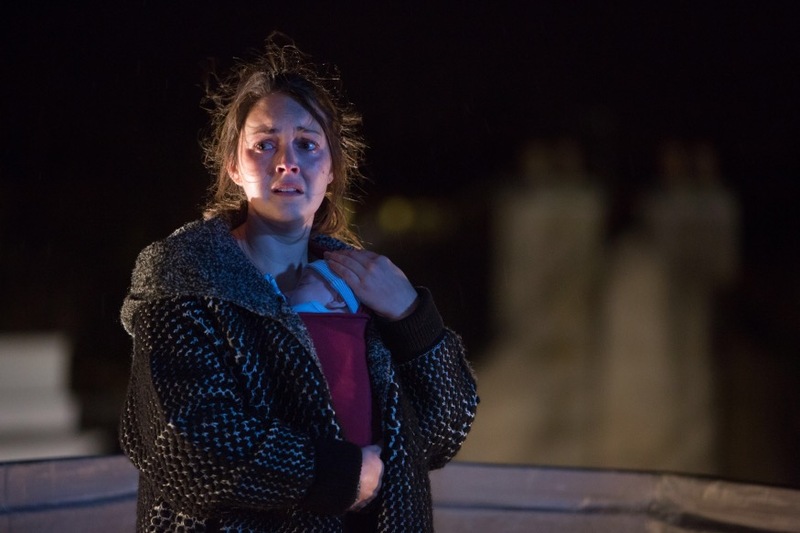 EastEnders' latest cliffhanger — or duff duff — sees Stacey Branning standing on the roof of the Queen Vic. She's holding her new baby, Arthur — who she believes to be the son of God — and she's terrified King Herod's massacre of the innocents is about to happen again. Beneath an inky blue and stormy sky, she reassures the child that by standing high above Albert Square: "Daddy can see us better now". Postpartum psychosis is an episode of destabilising mental illness marked by its rapid occurrence after birth. In its very earliest stages it may be overlooked as an exaggeration of normal experience; for example there is nothing unusual about any parent seeming anxious, lacking sleep or being a little elated following the birth. When this is coupled with a general lack of public awareness of the condition, and problems being attributed to a more common (but entirely different) illness such as postnatal depression, it can easily go unnoticed or attract inappropriate treatment. Postpartum psychosis soon escalates into hallucinations, delusions and the kind of extreme confusion Stacey Branning is currently experiencing. It’s an emergency situation and specialist treatment, ideally in a Mother and Baby Unit, is required. For clarity, religiosity is not a symptom, it is simply a reasonably common manifestation of the thoughts the illness causes the mother to dwell on. Stacey may equally have become preoccupied with entirely different patterns of thinking. EastEnders have in fact been sensitive to contrast Stacey's ideas with Dot Branning's faith. Indeed, it was Dot who perceptively noticed Stacey's increasingly erratic behaviour indicated a serious medical problem rather than an expression of Christian belief. Issue led storylines often fall into lame attempts at a public service announcement, but it is an area where EastEnders has an unusual skill and almost always represents well. It was part of the ethos and drama of the show right from the beginning. In 1985, the cot death of infant Hassan Osman, and the terrible grief his parents experienced, was shown with great sensitivity. In the last year EastEnders has perhaps been a victim of the high standards it set in the run up to its 30th anniversary, a return to form that put the soap on a level of quality with classic eras. Since then there have been some interesting ideas, that may well play out, but certain storylines and a sense of Walford history has recently been tied into some curiously convoluted knots. Issue based stories like Stacey's, including the conclusion of Carol Jackson's breast cancer, the still birth of Zaair Kazemi and ex-soldier Lee Carter's depression, have arguably been more successful than the big set-piece stories and family rivalries. That's not to say, of course, there lacks any melodramatic twists for Stacey. This is soapland after all. Her partner Martin is not Arthur's father and the fall out with his best friend Kush is yet to happen. Stacey has also had a long lost brother arrive — having just discovered her late father was a bigamist. Then there's her Uncle Charlie, he's just died of a heart attack after his daughter Kat, confronted her family about her own long lost son — who she was unaware she'd given birth to until the news was recently dropped on her by a nun played by June Whitfield. However, the representation and realism of Stacey's illness is something very much intact and sees EastEnders playing to its strengths. And it'll continue to do so for some time as the three charities involved in the story have advised upon a realistic timetable for Stacey's condition. For many women in Stacey's situation, with the right help and treatment, there is a full recovery and those charities working with EastEnders offer continued support. EastEnders continues tonight on BBC1, 8pm.